Massage and knead together with EMS muscle contraction at the same time. A dual treatment with the unique hexagon roller that mimics aestheticians hand massage technique and the EMS function that exercises muscles enables fast and easy treatment. Double wave EMS - A mix of Low and Mid. frequency wave EMS will efficiently firm the muscles. 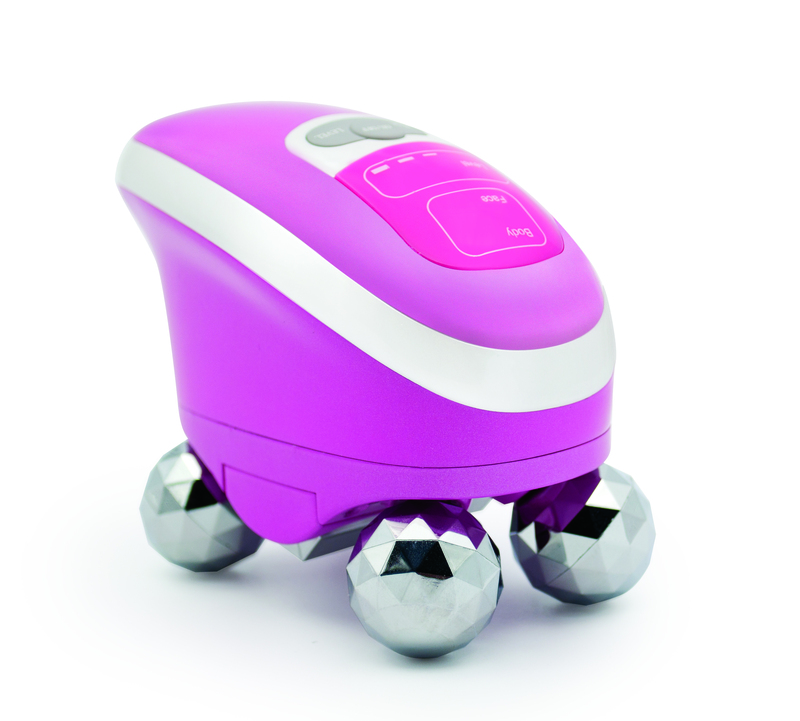 Rolling ball- creates pinching and releasing by just rolling over skin. 4 pcs V shape rolling ball will efficiently hold the fat and create comfortable stimulation.